3-year-old Havish has been diagnosed with Severe Combined Immunodeficiency, commonly known as Bubble Boy Disease. He has been suffering from diarrhea, fever, skin infections, heart problems and other complications frequently from when he was just a month and a half old. His parents have always been baffled by his illnesses that never seemed to stop, and heartbroken seeing their son suffering so much. They spent more time shuttling him from and to the clinic or the hospital in the past few years. Havish has also constantly been on antibiotics. "We lost our first child to arterial stenosis. Looking at Havish's condition, we felt like we were slowly losing him. We couldn't understand what we had done wrong that God should do this to our child." 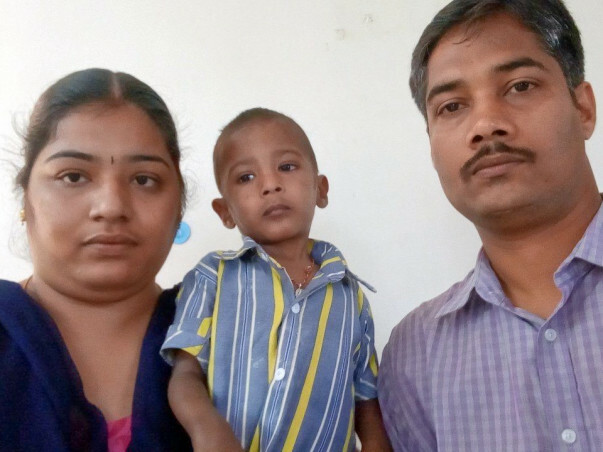 Recently, the parents understood the root of Havish's frequent infections. His immune system was very weak, due to which the slightest exposure to germs or dust sets of the most violent attacks. "As adults, if we have the flu or a stomach issue, we get so tired. Imagine a child going through that every other day. Sometimes I cannot sleep thinking about it." 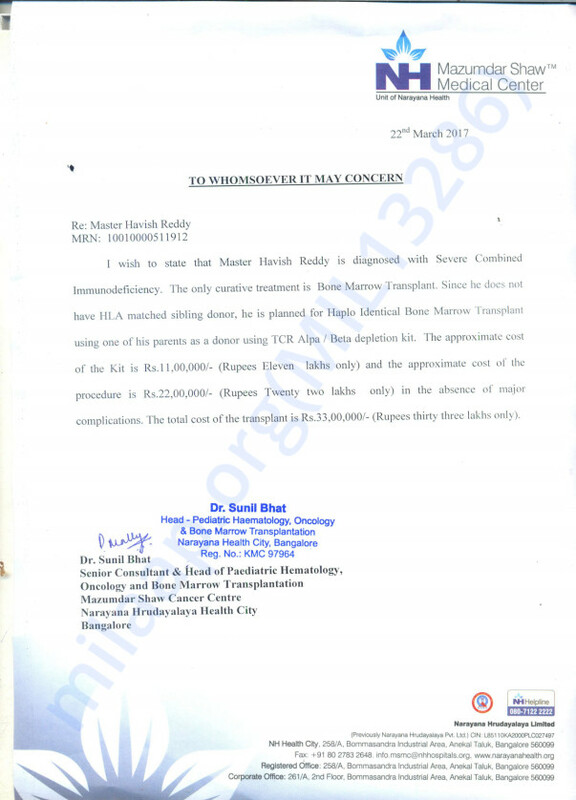 Havish needs a bone marrow transplant as it is the only cure to his immunodeficiency. As he grows, the attacks could only get worse, so he needs to be in a sterile bubble to avoid falling sick. It is not possible to restrict the life of this child to such an existence. Help these parents keep their son not just alive, but also healthy. Here is an update on Havish's health. He underwent 2 cycles of chemotherapy and was responding well to the treatment. He was discharged after the second cycle after which the family has not yet returned to the hospital. Will keep you posted. Thank you for all the support you have shown Partha so far.